A lively and provocative look at how evolution shapes our behavior and our lives. Contrary to conventional wisdom, our brains and bodies are hardwired to carry out an evolutionary mission that determines much of what we do, from life plans to everyday decisions. With an accessible tone and a healthy disregard for political correctness, this lively and eminently readable book popularizes the latest research in a cutting-edge field of study-one that turns much of what we thought we knew about human nature upside-down. Every time we fall in love, fight with our spouse, enjoy watching a favorite TV show, or feel scared walking alone at night, we are in part behaving as a human animal with its own unique nature-a nature that essentially stopped evolving 10,000 years ago. 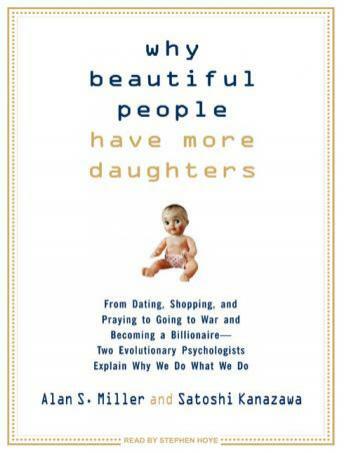 Alan S. Miller and Satoshi Kanazawa reexamine some of the most popular and controversial topics of modern life and shed a whole new light on why we do the things we do. Beware: You may never look at human nature the same way again.